1. Mara Hoffman, Cut Out Jumper, buy here. 2. Van Cleef & Arpels, Magic Alhambra Earclips, buy here. 3. Lena Wald, Rose Gold Safety Pin Earring, buy here. 4. 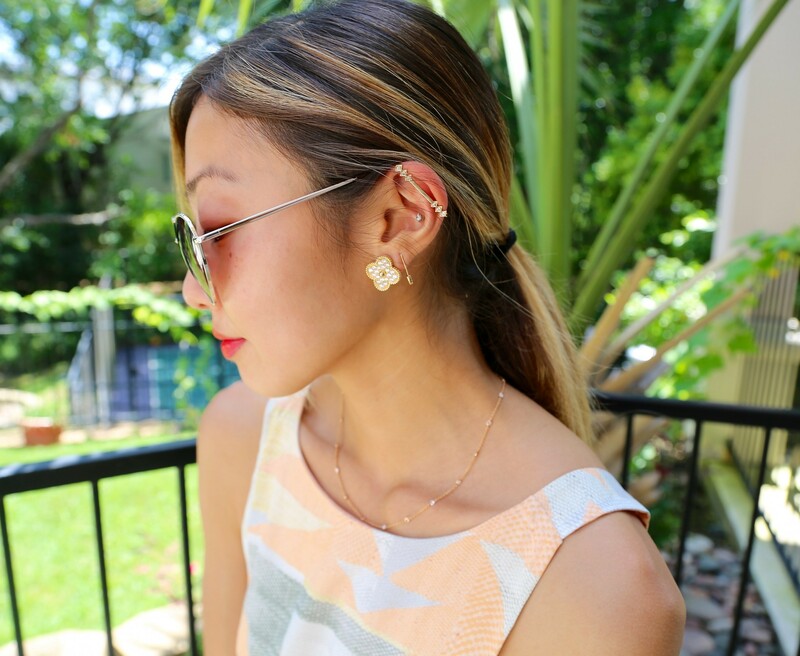 Azlee, Light Rod Ear Cuff, buy here. 5. Jacob & Co., Bezel-Set Necklace, similar here. 7. XIV Karats Ltd, Pave Thin Bar Bracelet in Rose Gold, similar here. 9. Van Cleef & Arpels, Perlee Clover Bracelet, buy here. 10. Urban Outfitters, Heartbreaker Sunglasses, buy here. 11. Free People, High Society Heel, buy here.